Let gas cooking help you create meals like a professional chef in your home. Designed to perform as well as it looks, Ancona's gas cooktop features 4 gas burners which allow you to cook from a high heat for boiling, frying or searing to a low simmer for the most delicate sauces. Ancona gives you the precise control demanded by serious cooks. 34 inch Gas Cooktop in Stainless Steel with 5 Burners including Cast Iron Griddle Let gas cooking help you create meals like a professional chef in your home. Designed to perform as well as it looks, Ancona's gas cooktop features 4 gas burners which allow you to cook from a high heat for boiling, frying or searing to a low simmer for the most delicate sauces. Ancona gives you the precise control demanded by serious cooks. 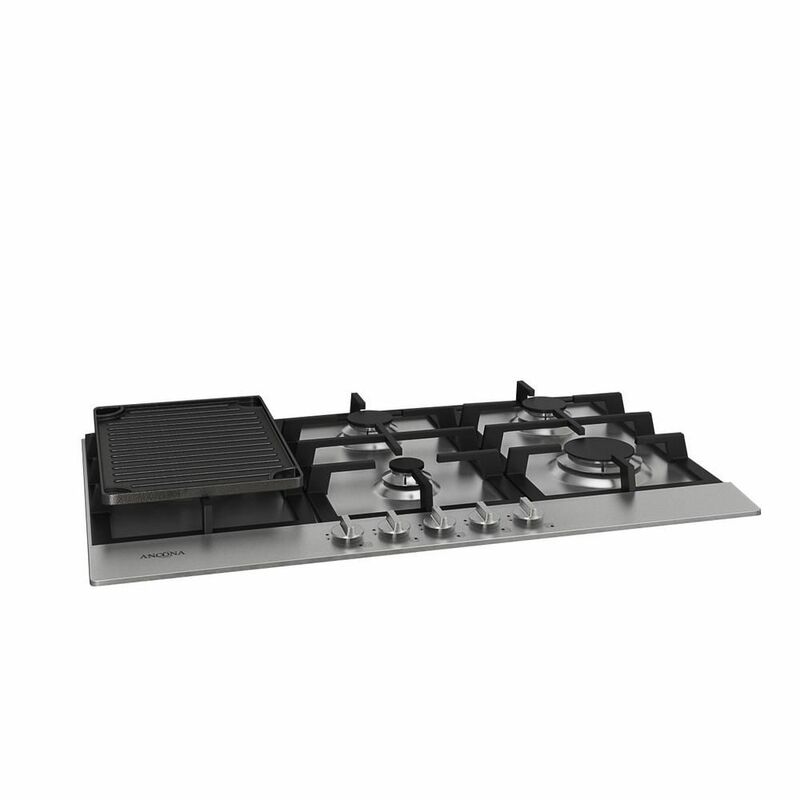 34 inch Gas Cooktop in Stainless Steel with 5 Burners including Cast Iron Griddle is rated 4.0 out of 5 by 2. Rated 4 out of 5 by Camarogirl from Operation of cooktop is good and installation easy. Cleaning the surface leaves streaks. The grid... Operation of cooktop is good and installation easy. Cleaning the surface leaves streaks. The griddle had a chipped area on the coating when I unpacked it. Not too happy about that. It was packed well enough. Don't know this is a quality issue or not. Probably won't use the griddle. Rated 4 out of 5 by waynie from we replaced an old old cooktop for this one. With some adjustment we finally got it installed and... we replaced an old old cooktop for this one. With some adjustment we finally got it installed and have been very pleased with it .thus far.